Our little boat noses a path through the rushes in the brown creek, the quiet engine competing with a flock of egrets. Disturbed, they eye us warily from their perch on a half-submerged river red gum. At the tiller is John: long of beard, sharp of eye. He manages The Frames, a luxury couples-only retreat in the South Australian village of Paringa, which recently won gold as the country's best self-contained accommodation at the Australian Tourism Awards. 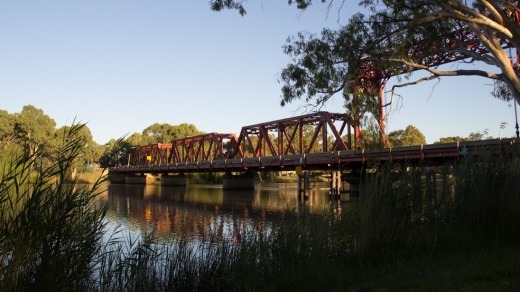 Overhanging the banks of the Murray, The Frames is five minutes' drive from the gracious Riverland town of Renmark, and its day cruise through the creeks is for the lucky few. Earlier that morning, my Instagram feed showed a friend's boat cruising down the bayous of Mississippi, spotting alligators."'Amazing!" said followers. "I've done that!" In comparison, my little pootle through the backwaters of Australia's own mighty Murray definitely deserves the name Backwater Secrets. Why don't we rave about our own quiet waters? Perhaps we should adopt a French word, instead of "back creeks", to describe this labyrinth of creeks, lagoons and inlets that cobweb the strong, flowing River Murray, here at the corner of three states. "There are a lot of creeks hidden away, you wouldn't even see them or know where to go unless you're out exploring," John says. He's been cruising the hidden waterways of the Murray since he was a boy, happily skipping school to head upriver in an Aussie version of Huckleberry Finn. He reckons there's about 200 kilometres of these arms and creeks, many unnamed and most relatively unexplored. 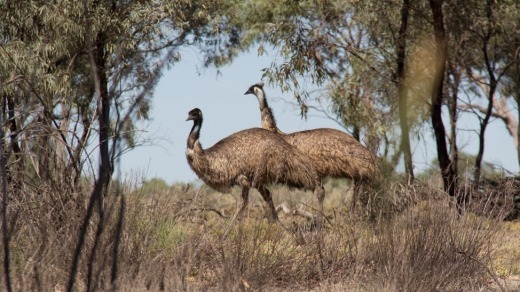 As he chats, two glossy, sleek emus step in for a closer look at us before striding back into the bush. Dubbed "the emu whisperer" by guests, John's been known to coax the tall, inquisitive birds even closer. A glittering rainbow bee-eater hunts at the water's edge and the call of a whistling kite, hunting from up high, echoes about us. 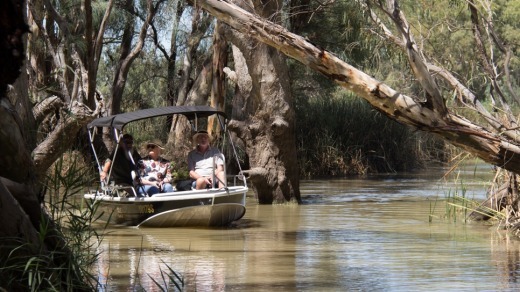 It's the signal for morning tea and John pulls the boat onto a convenient bend in Kylie Creek – named for the Murray's first female paddleboat captain – where he sets up a little coffee station. Captain Willow, the retreat's golden retriever mascot, guards the boat with one eye on the South Australian classic, a creamy bee-sting cake from the local bakery, and the homemade chocolate slice fresh from the oven of The Frames' owner, Cathy Edmonds, which we eat while perched on a fallen tree. "Some of these trees are thousands of years old," John says. 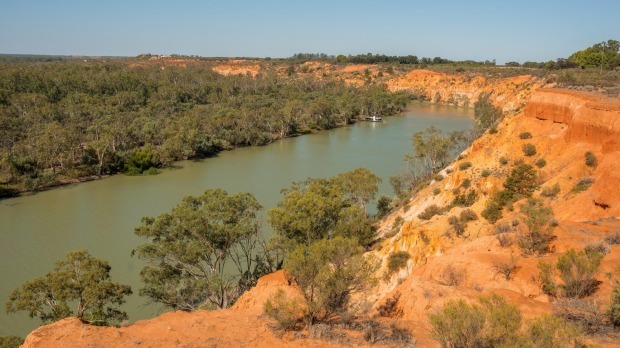 "A lot of people don't know what the Murray's about – it's not just an irrigation system, not just water. It's a lifestyle, it's history." Watching us from the banks are straight big red kangaroos, while hunched grey wallabies and fat-bottomed euros peer warily from screens of long grass. There's beauty in the striations of a tree's bark, in the Aboriginal canoe trees that are still marked by the boats cut from their trunks a hundred years ago, and in the soft blending of the wallaby's dove-grey coat, which lets it melt into the silvery bushland. A goanna sunbakes on the river bank, fat-bellied and lethargic. By the time we've pulled up the tinny and leapt out, he's halfway up a eucalyptus tree. The land has been good: he's a healthy couple of metres long, his smooth scales shimmering in the sunlight. On another riverbank that faces vivid red cliffs, chairs, tablecloths, a barbecue and three courses with local wine are produced from somewhere inside our little boat. During our long lunch, just one other craft passes, and we all wave congenially to each other. Otherwise, a sleepy warmth hovers over the river: word has it its signature pelicans are up at the flooded Lake Eyre, and the Riverland's avid water-skiers have already had their early-morning thrill before heading into work. "There's not a day you don't love it," John says, and everyone nods benevolently. These back creeks aren't a completely hidden secret: just the weekend before, a rush of supercharged petrolheads cut through the reeds as the Red Bull Dinghy Derby came to town, and summer weekends see the river and its tributaries full of mad skiers, yabby chasers and paddlers, with the Murray's signature houseboats swishing sedately through them all, like matrons on a mission. Later, on the 90-minute drive back to the closest airport, Mildura, everyone in the car is quiet with their own thoughts, a whirligig spinning alongside our car, picking up the red dust. It's still nearly 400-kilometres to the nearest state capital, Adelaide, but already it feels like civilisation is closing in. "Why isn't the Murray promoted as an icon, like Uluru or the Great Barrier Reef?" asks Cathy's husband Rick. A Riverland farmer and entrepreneur, born and bred, he's genuinely bewildered. With its rare birds, abundant wildlife, ancient forests and dramatic red cliffs, I can't give him a single good reason why not. 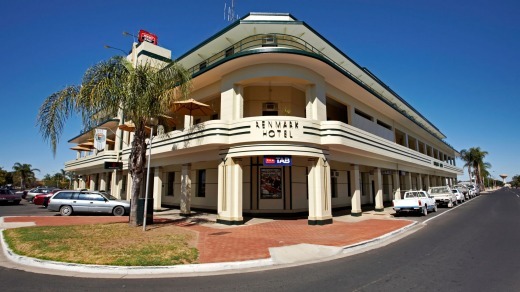 Renmark is a three-hour drive from Adelaide. The closest airport is Mildura, 90 minutes away. The Frames does airport transfers. 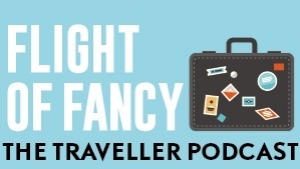 Belinda Jackson travelled as a guest of The Frames Luxury Accommodation.